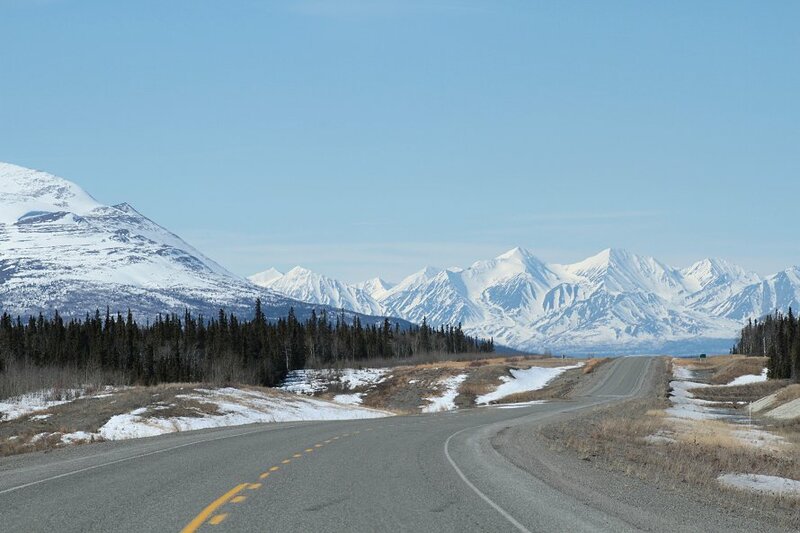 This is the view of the Kluane Range that you get from Km 1526. To the left of the highway, the old road can just barely be seen. This photo was shot on April 18, 2012. This photograph is © 2012 by Murray Lundberg, and is not to be copied without express permission.